Located on a busy road of the Roman era built up with forts, this han displays an unusual plan with two rooms on each side of the entrance. 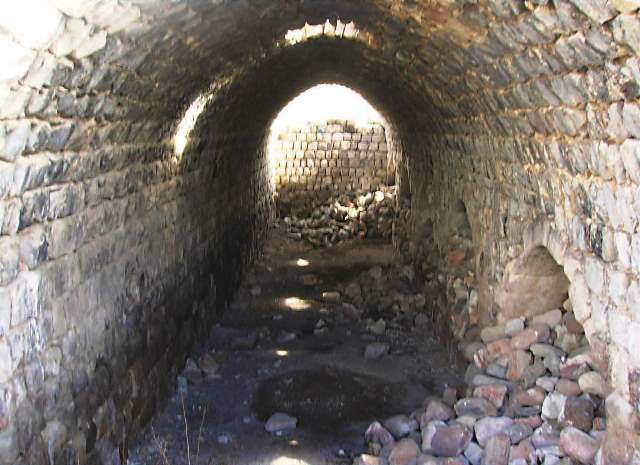 The Kurttepe Han is located on the Malatya-Elbistan road, 43 km from Elbistan, near the village of Kurttepe and 1.5 km from the village of Çerkezuşaği and 1 km from the village of Yazıtopalı. It is built near the slope of a valley. The road on which the han is located was a very busy road in the time of the Romans and the Seljuks. 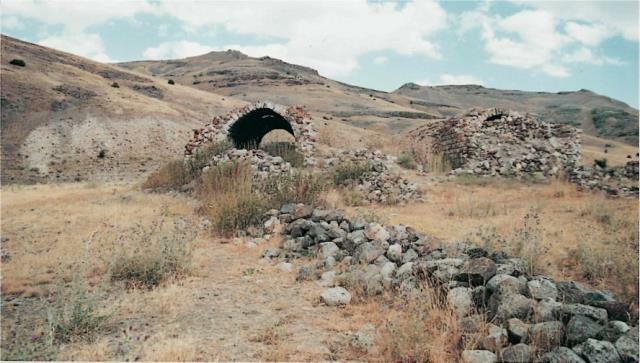 Many Roman forts, built northwest of the road, continued to be used in the Byzantine and Seljuk eras. Traces of this road, which continues along the Soğutlu Cayi valley on the south side of the han, can still be seen. The next han in the direction of Elbistan is the Sevdilli Han and the next han in the direction of Malatya is the Kara Han. Kahramanmaraş was an important town of the Anatolian Seljuks, due to its geographical position and location at a very strategic point of Anatolia. Researchers believe that there were many architectural works built by the Seljuks here, but all have been destroyed. However, there are several hans which remain, including this one, the Kuru, Coğul, Sevdilli, Nurhak, Çevirme, Kamereddin and Hanobaşi hans. There is no information concerning the original name of the han. No information exists concerning the construction date. In addition, the lack of decoration offers no clues for dating the han. 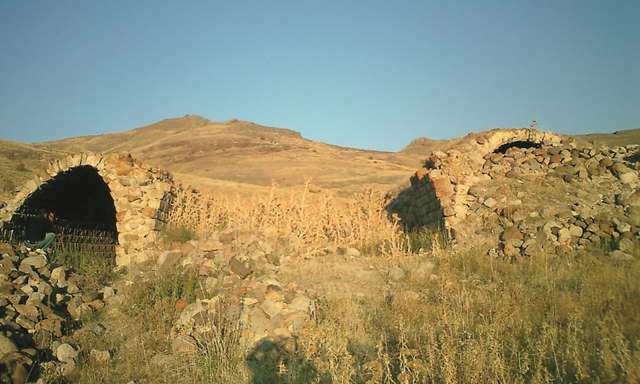 Unal, who analyzed the presence of this type of independent rooms at the entrance to hans, states that this arrangement came into use after the Seljuk period. He also states that larger hans were not built at the end of the Seljuk era due to the political and economic problems, so a small-scale han such as this one probably dates from the late 13th century, and that the plan of the Kurttepe Han is an early example of a plan type which was developed in hans built in the Beylik period. The same opinion is shared by many art historians, and that this type of smaller-scale han constitutes a transition phase to the Beylik Period which followed the Seljuks. However, this argument may not be valid as other Seljuk hans, such as the Durak, Çekereksu, Dokuzun Derbent, Altinapa and Kuruçeşme Hans, have similar plans to this han. No inscription exists for the han. No information exists concerning the patron. The han is in ruins today. Some walls and the roof of the han have collapsed. The axis of the han is east-west. The rectangular covered section consisted of three naves in the east-west longitudinal direction, carried by two support lines of equally-spaced pointed arches. The naves are covered by pointed vaults. There is a room on each side of the entrance, one of which could have served as the mosque. These two rooms at the entrance are a distinguishing feature of the design of this han. There are five pointed arches carried by five piers in each of the support lines which continue to the rear wall in the east-west direction. The covered section is enclosed by pointed vaults lying parallel to each other in the east-west direction. 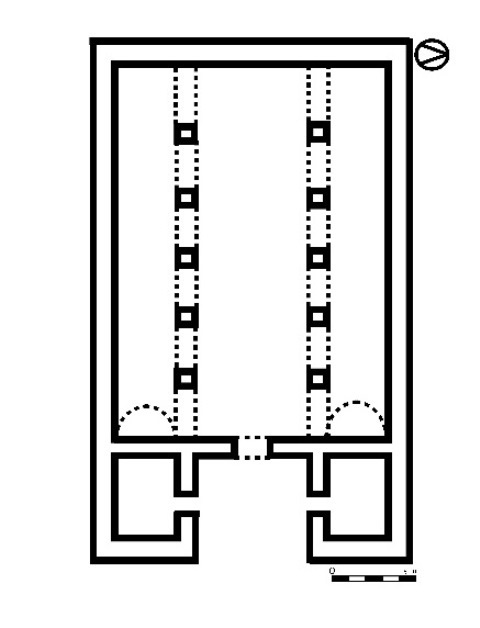 The middle nave is higher and wider than the side naves. The roof of this middle nave has not survived, but the spring stones of the vaults can be seen on both sides. 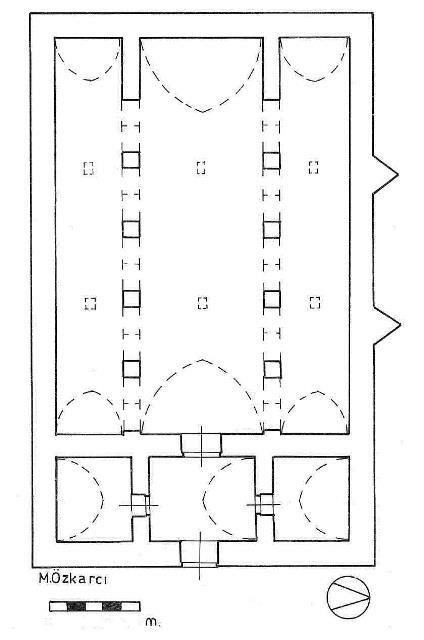 Considering the connections between the arches of the side naves, it is believed that a raised platform was located in the middle nave. The stones used to build the platform are two blocks high and are cut wider and higher than the stones used in the walls. The han is lit by square gaps, still intact, opening onto the side naves. There are no slit windows on the side walls. Some traces indicate the existence of equally-spaced buttresses on the exterior walls. The arches were made of smooth-cut stones and the walls and vaults were built of pitch-faced stone. The walls were double-sided and were filled with rubble and mortar. No decorative elements or mason marks have been noted in the han. According to existing traces on the walls, the crown door faced west. The portal was designed integrally with two square rooms on each side of it and was built like an iwan. It is not certain if the han was originally designed with a courtyard. After this road fell out of use, the han was left deserted and fell into ruins. The roof of the middle nave has collapsed. The roofs of the other naves are sound. The entrance and the side rooms are buried underground. Aytaç, Ismail. “Selçuklu Döneminde Malatya-Kahta Kervanyolu ve Kervansaraylari” in I. Uluslarasi Selçuklu Kültür ve Medeniyeti Kongresi, Konya, 2001, p. 38. Baş Ali. "Beylikler Dönemi Hanlari", SÜ Sosyal Bilimler Enstitüsü yayınlamamiş doktora tezi, Konya, 1989. Eravşar, Osman. Yollarin Taniklari (Witnesses of the Way), 2017, pp. 134-138. Ünal R. H. "A propos de la datation des khans seldjoukides sans cour en Anatolie" in Hillenbrand, Robert, ed. Art of the Saljuqs in Iran and Anatolia: Proceedings of a symposium held in Edinburgh in 1982, 1994.